MySQL is a bit of an attention hog. With relational databases supposedly put on deathwatch by NoSQL, MySQL should have been edging gracefully to the exit by now (or not so gracefully, like IBM's DB2). Instead, MySQL remains neck-and-neck with Oracle in the database popularity contest, despite nearly two decades less time in the market. More impressive still, while Oracle's popularity keeps falling, MySQL is holding steady. Why? The script wasn't written this way. NoSQL, as I've written, boomed in the enterprise as companies struggled to manage the volume, velocity, and variety of modern data (the three V's of big data, according to Gartner). Somehow MySQL not only survived, but thrived. Yet MongoDB hasn't toppled MySQL, nor has Apache Cassandra or Apache Hadoop, as former MySQL executive Zack Urlocker told me: "MongoDB, Cassandra, and Hadoop all have worthwhile specialized use cases that are sufficiently hard to do in [a] relational database. So they can be decent sized businesses (less than $100 million) but they are unlikely to be as common as relational." Partly this stems from the nature of most big data today: still transactional in nature, and hence well-suited to the neat rows and columns of an RDBMS. This coincides with the heart of MySQL's popularity: It's a great database that fits the skill sets of the broadest population of database professionals. Even better, they can take all they learned growing up with Oracle, IBM DB2, and Microsoft SQL Server and apply it to an omnipresent, free, and open source database. What's not to love? Actually, that was the original rap against MySQL and all relational databases: They could scale up but not out, and we live in a scale-out world. As it turns out, "It actually can scale" quite well, Linux Foundation executive Chris Aniszczyk affirmed to me. While it may have started from an architecturally underprivileged standpoint, engineers at the major web companies like Google and Facebook had huge incentives to engineer scale into it. As examples of MySQL at scale proliferated, Pivotal vice president James Bayer suggested to me, it bred confidence that MySQL was a strong go-to option for demanding workloads. This isn't to suggest that MySQL is an automatic winner when it comes to scale. As Compose.io developer DJ Walker-Morgan puts it, "NoSQL takes care of scaling like me buying diet food takes care of weight loss: only if strict disciplines and careful management is applied." Again, enough examples exist that developers are motivated to give it a try, especially since it's so familiar to a broad swath of the DBA community. Also, as Server Density CEO David Mytton underscored to me, "[M]anaged services like RDS ... [and] Aurora in particular solve a lot of scale pain" for MySQL. 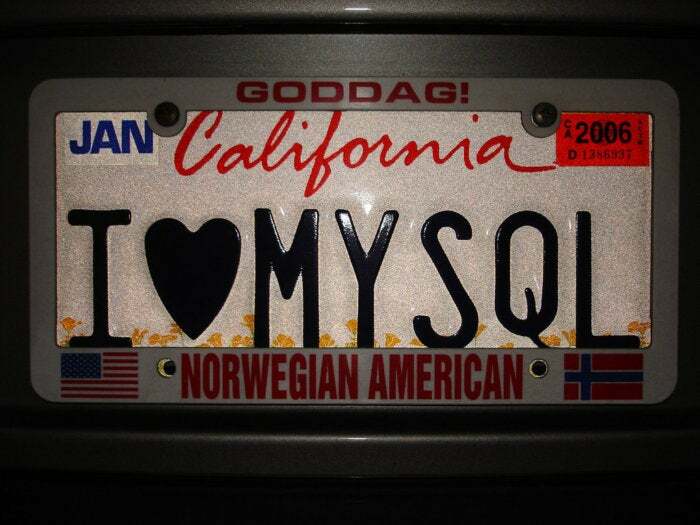 Which is why, 22 years after it first hit the proverbial shelves, MySQL is arguably the most popular database on earth. It doesn't have the "enterprise grade" label that Oracle likes to slap on its database, and it doesn't have the "built for horizontal scale" marketing that carried NoSQL so far, but it's the default choice for yesterday's and today's generation of developers. The fact that it's free doesn't hurt, but the fact that it's a free, powerful, familiar relational database? That's a winning combination.